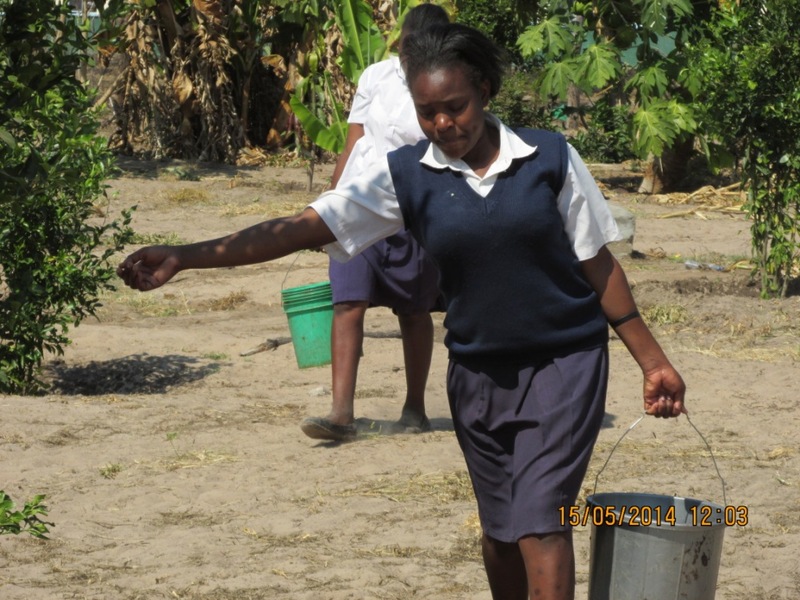 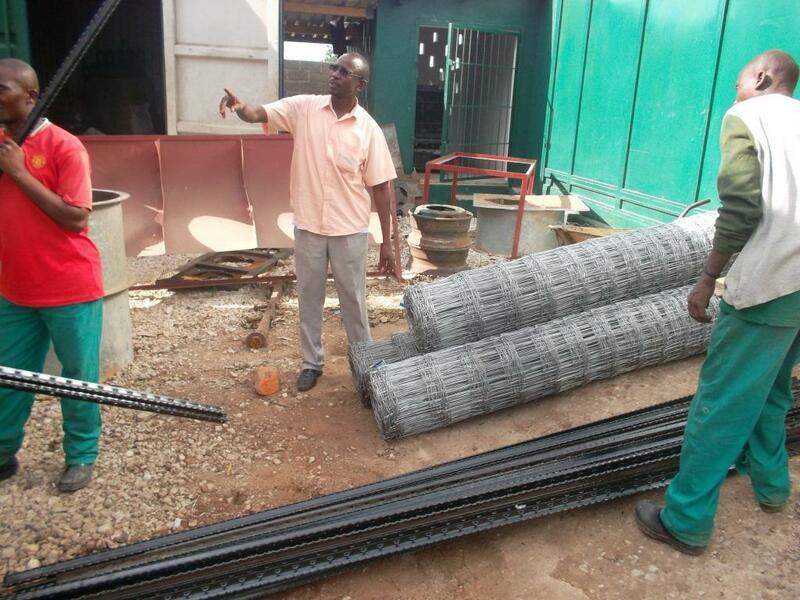 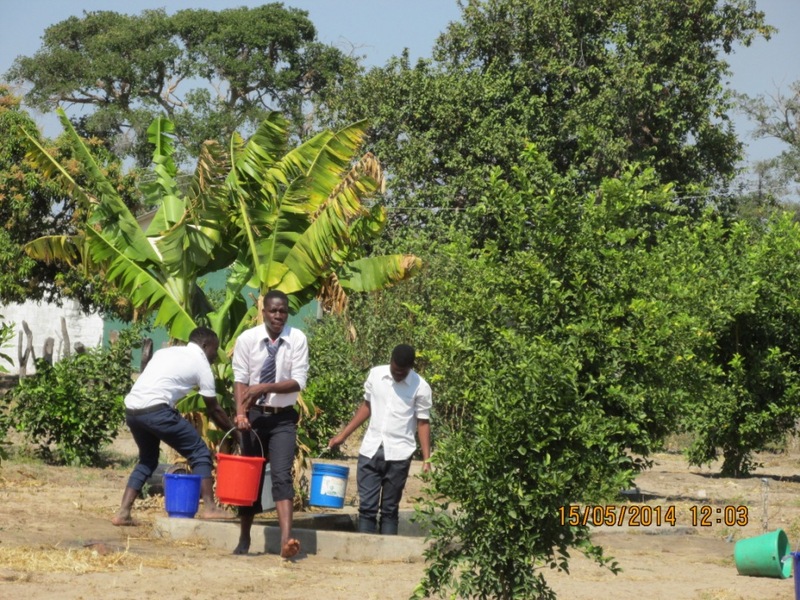 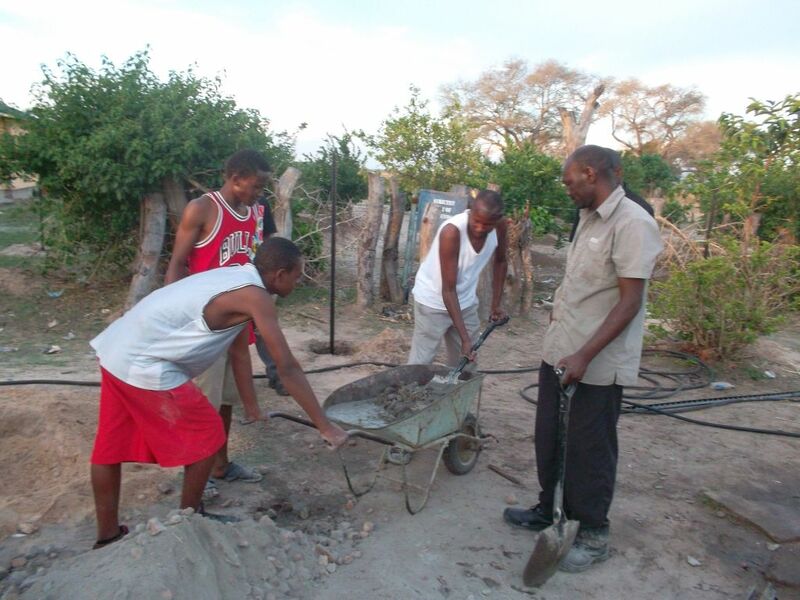 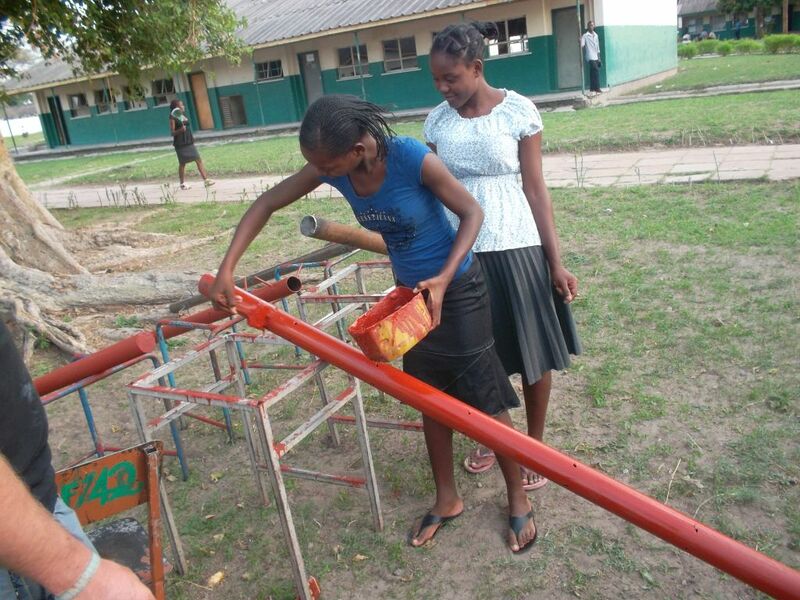 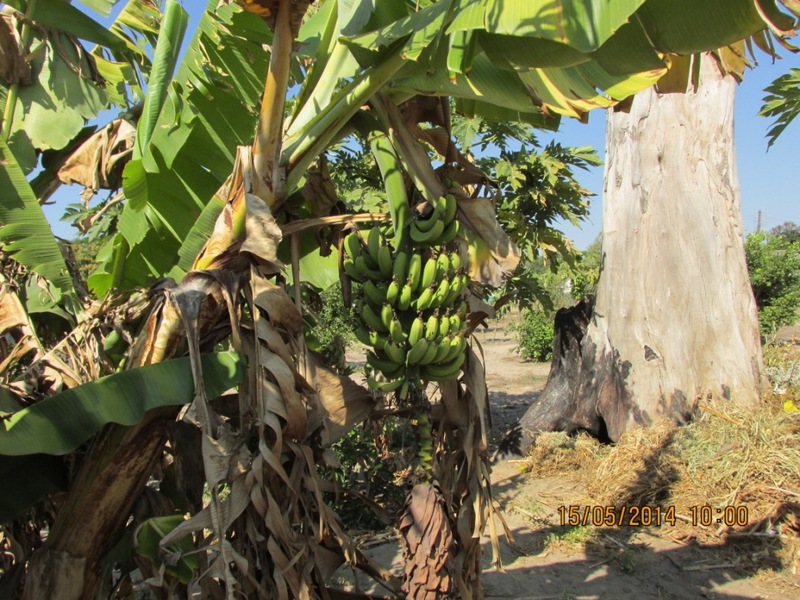 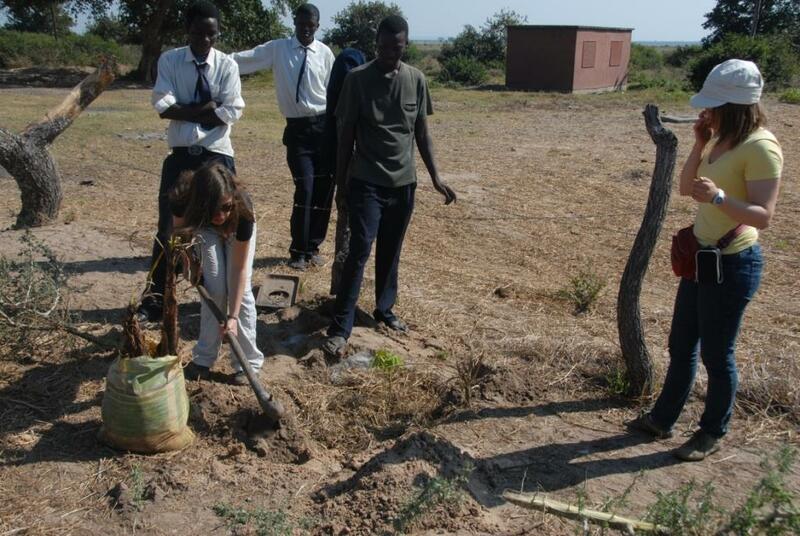 Project Supervisor Mr. Joseph Chipindi made December 27th the following pictures during a visit to the orchard together with head teacher Mr. Charles Simaambo, deputy head master Mr. Mukela Kalunga and the teacher in charge of the orchard Mr. Kebby Malambo. 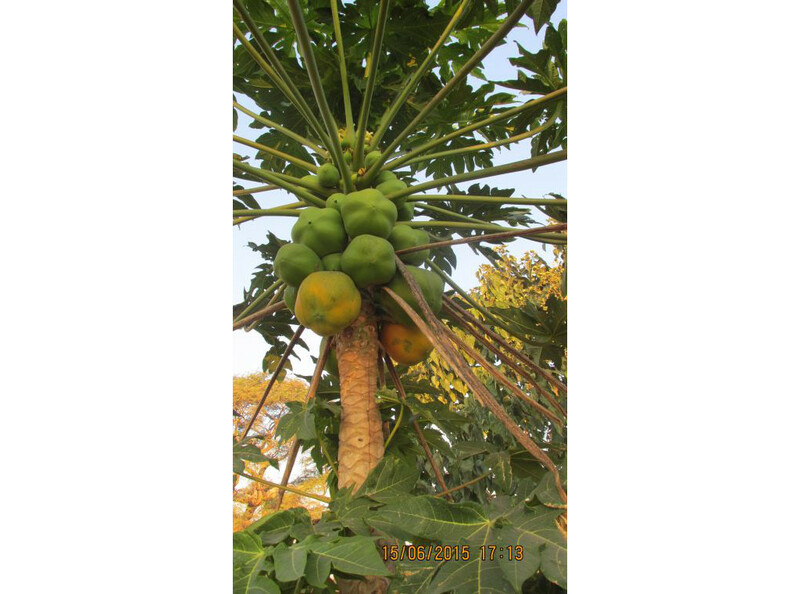 The Orange trees and bananas carry a lot of fruits. 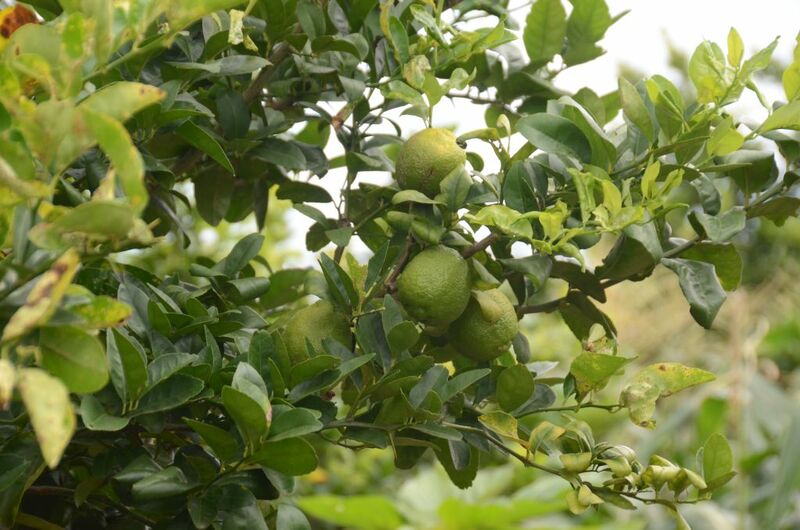 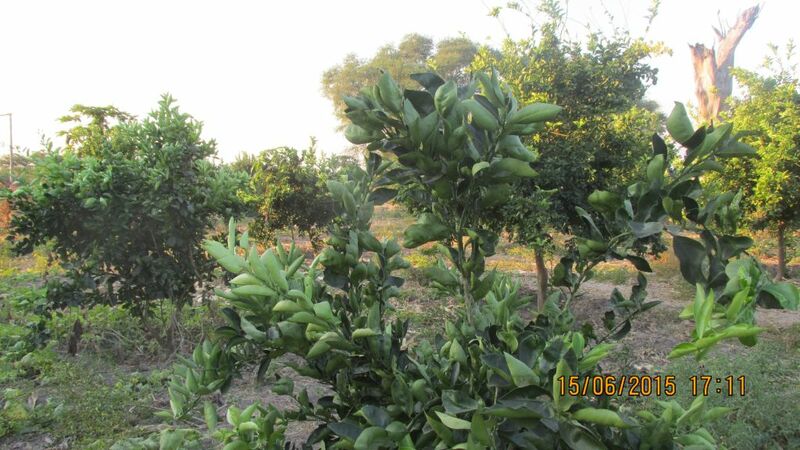 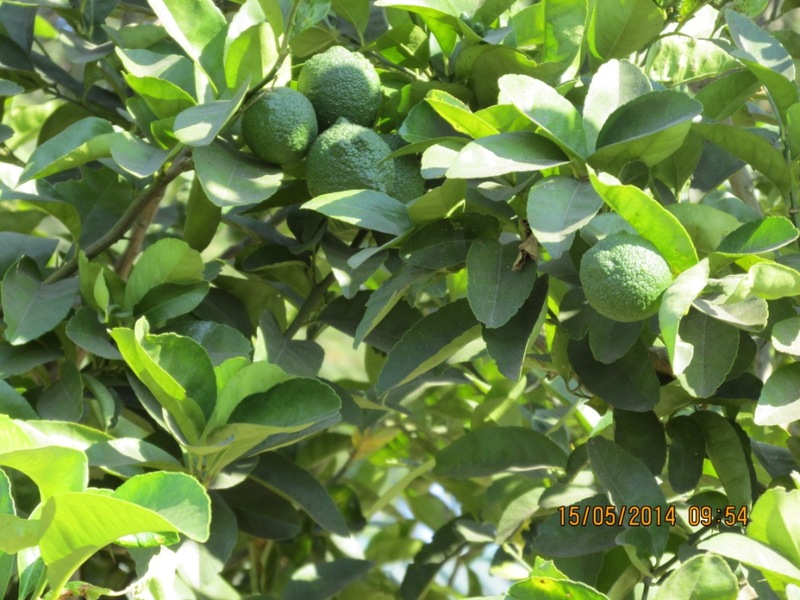 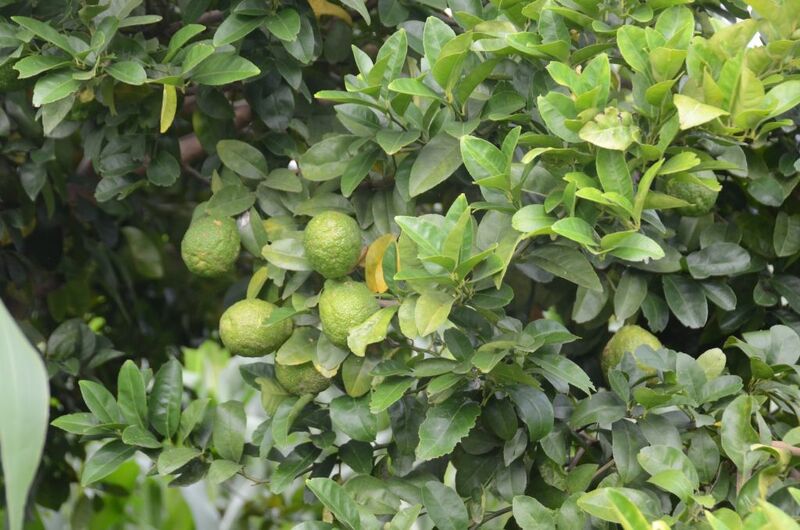 The lemon and nuts trees have unfortunately diseases. 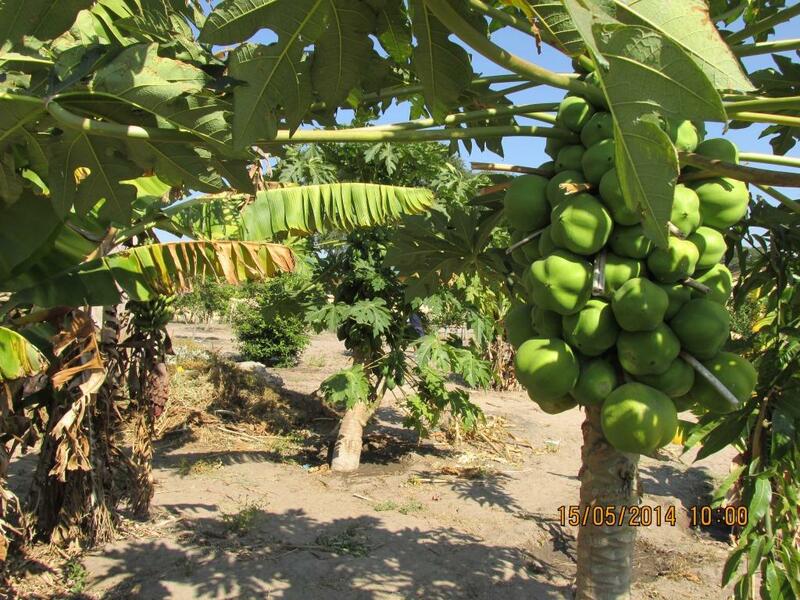 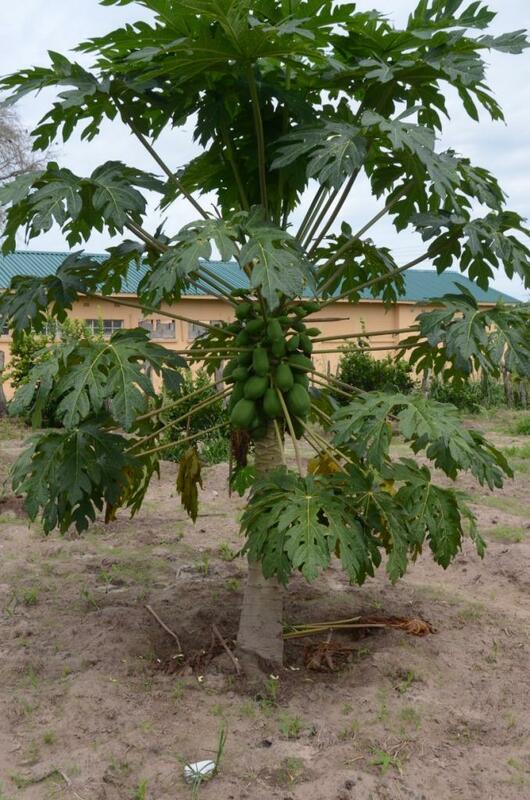 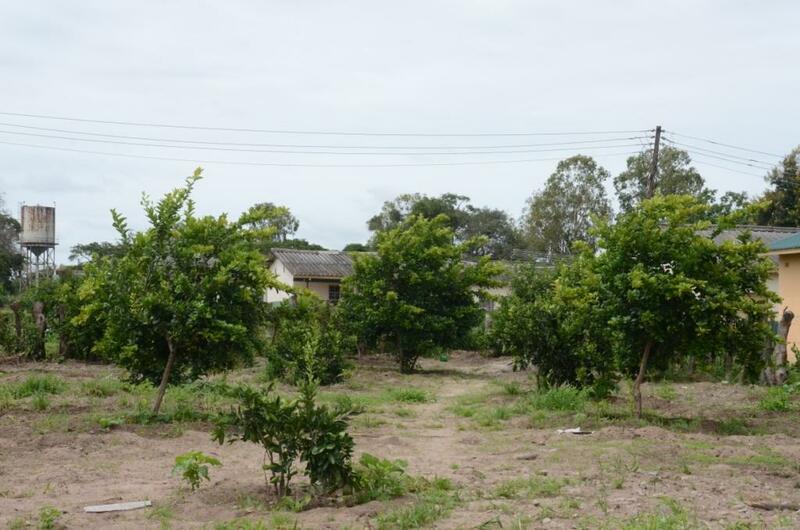 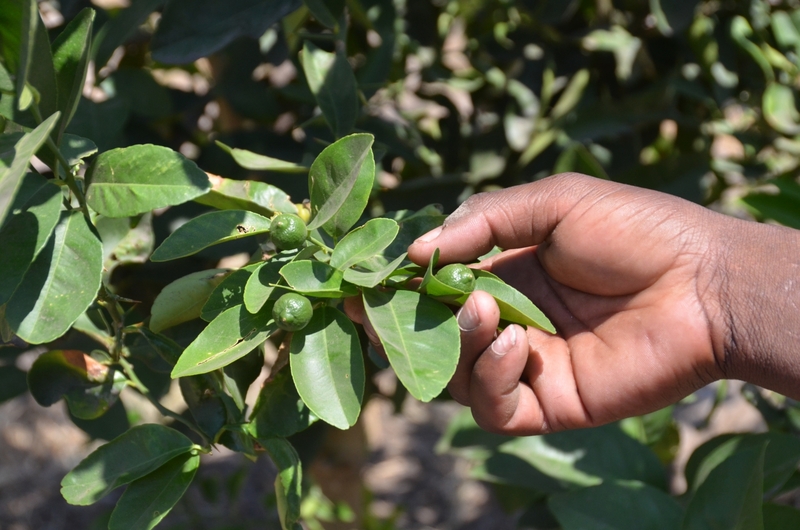 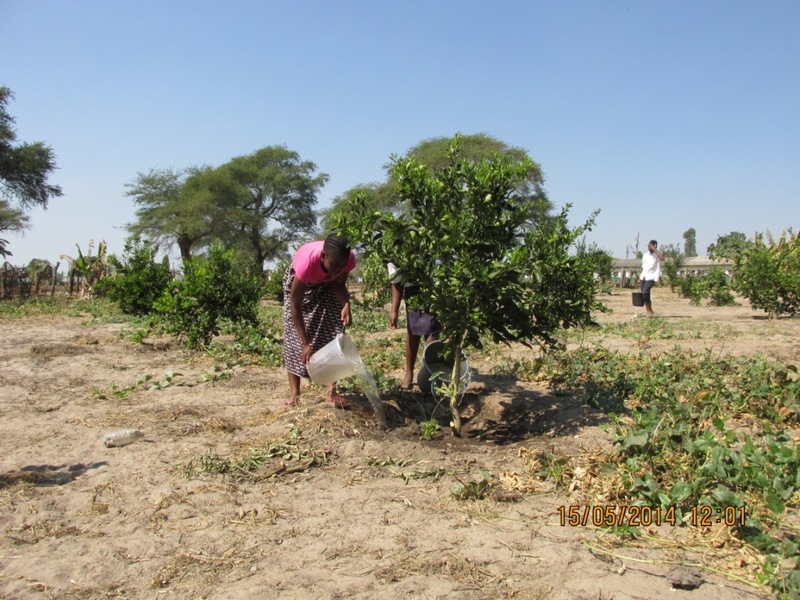 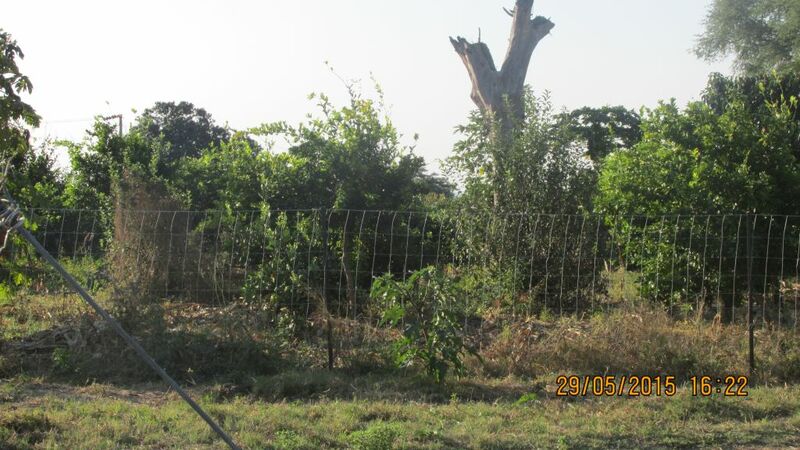 In 2010, half a hectare of land was fenced in and fruit- bearing trees (orange, lemon, tangerine, papaya, banana and guava) were planted. 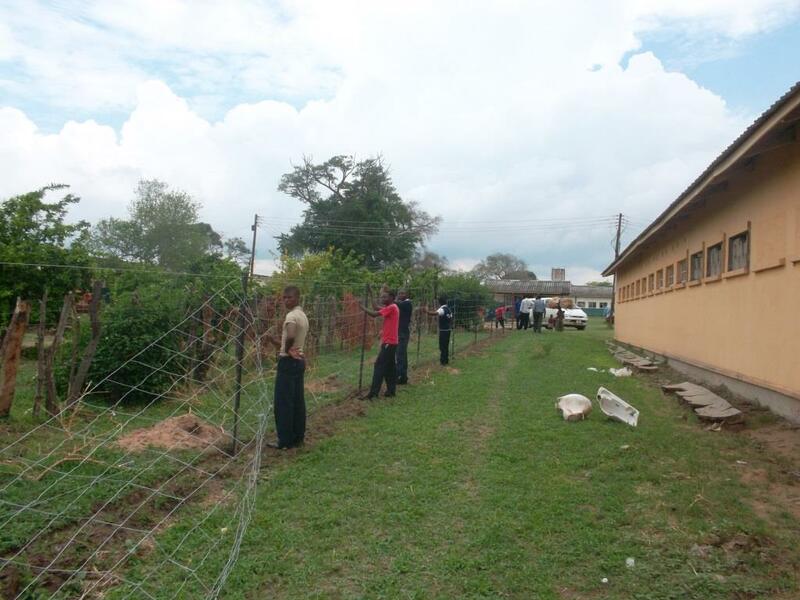 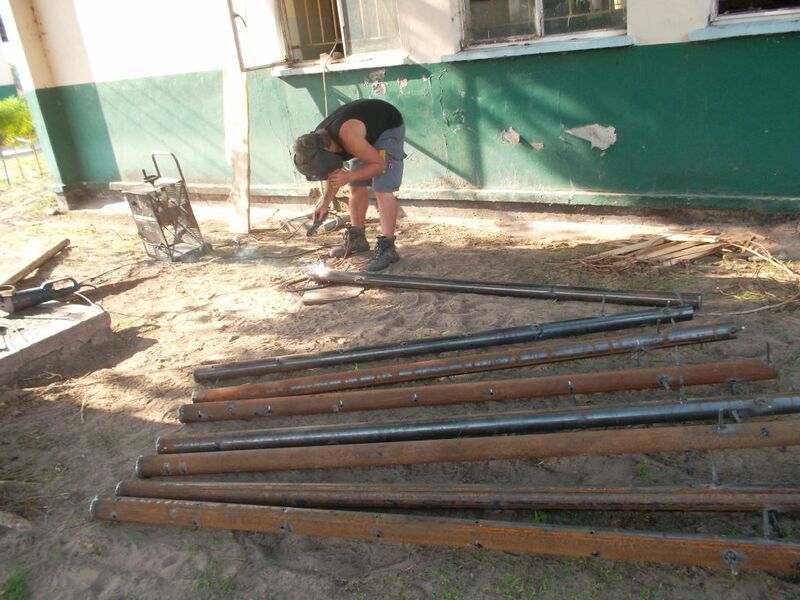 Unfortunately the fence could not withstand the pesky goats and had to be replaced with a more stable fence in 2011. 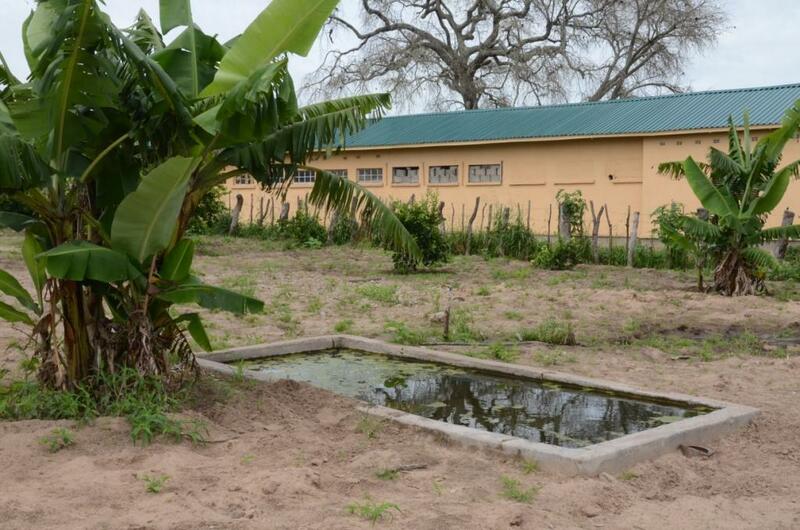 As a simple watering solution a reservoir was built in the middle of the garden. 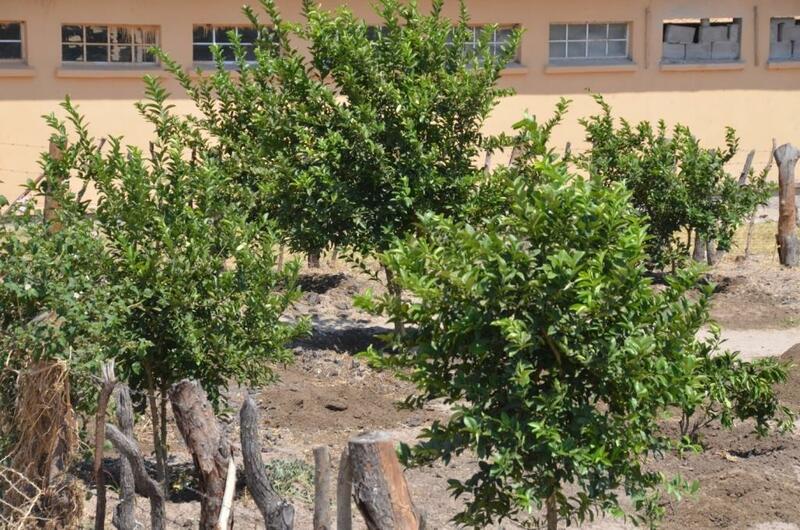 Thanks to the dedicated and constant care of teachers and students the orchard has thrived and has even been expanded. 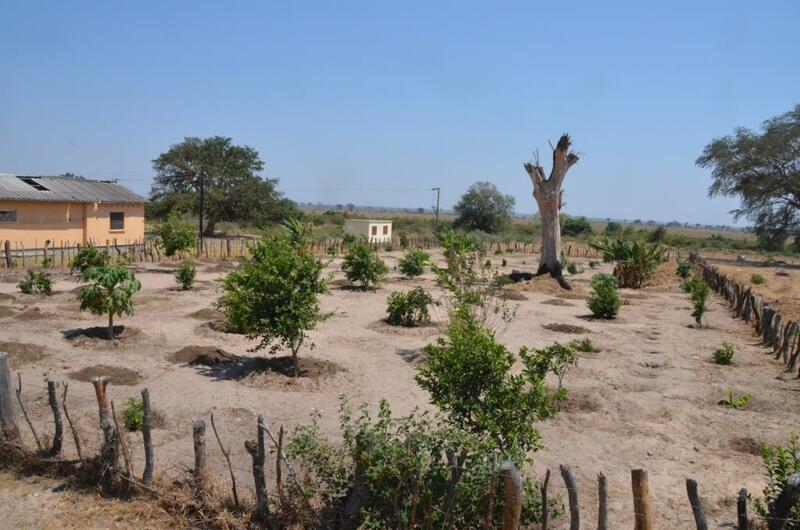 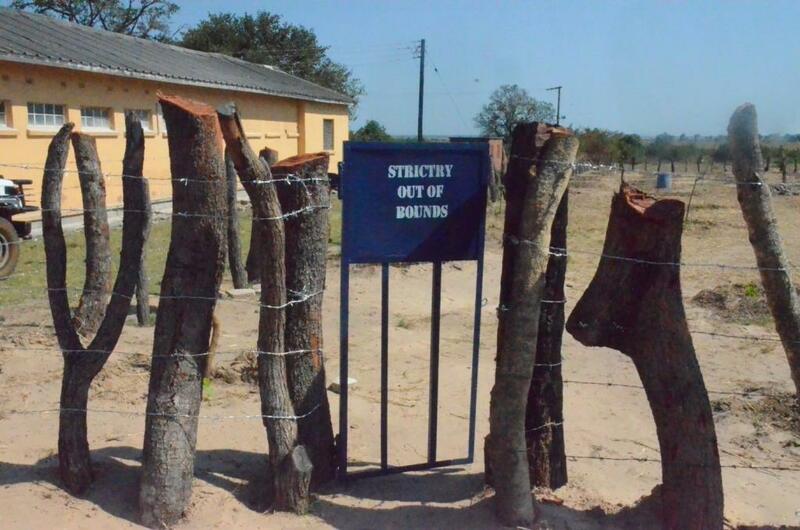 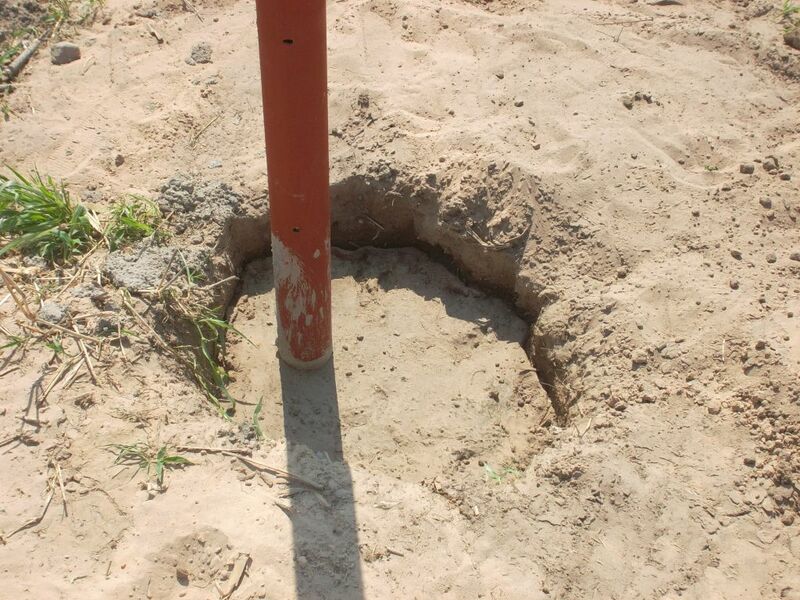 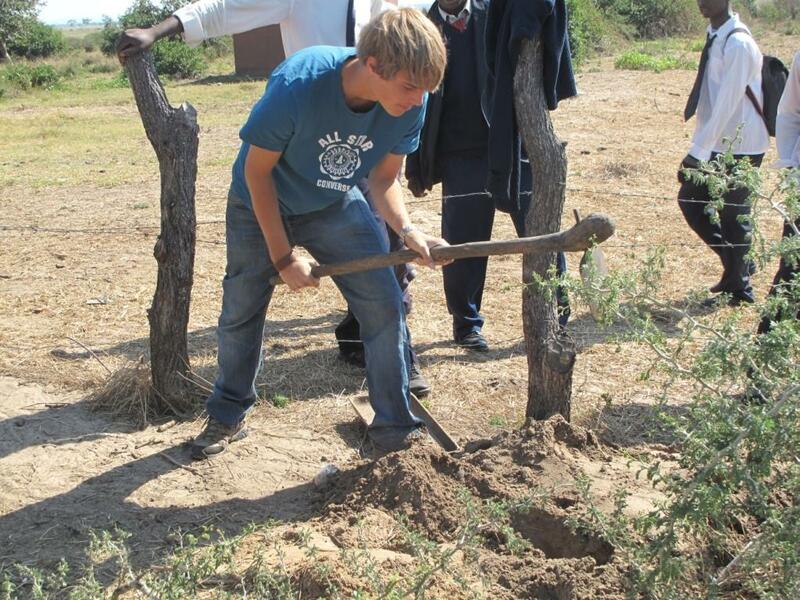 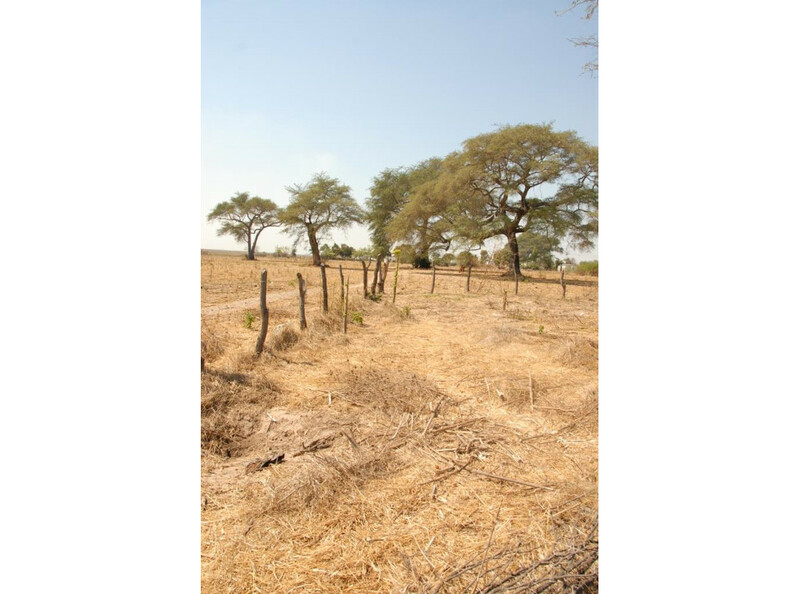 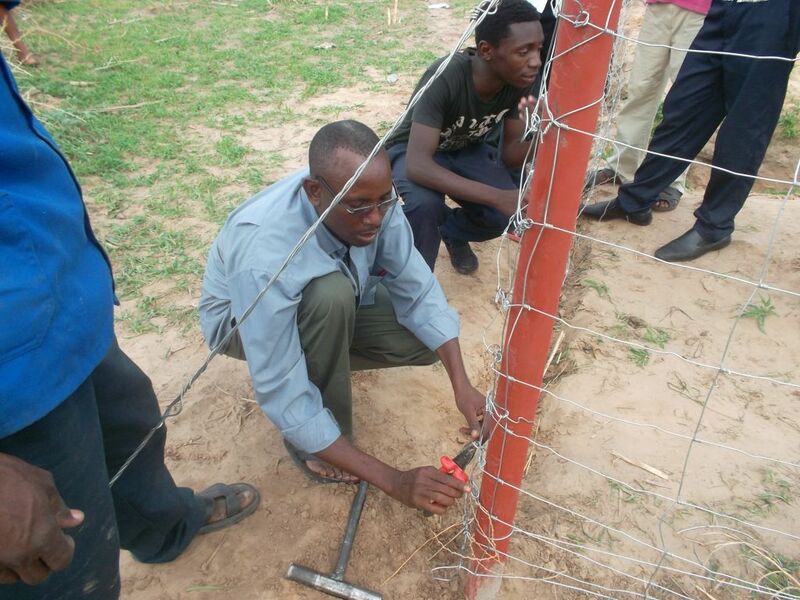 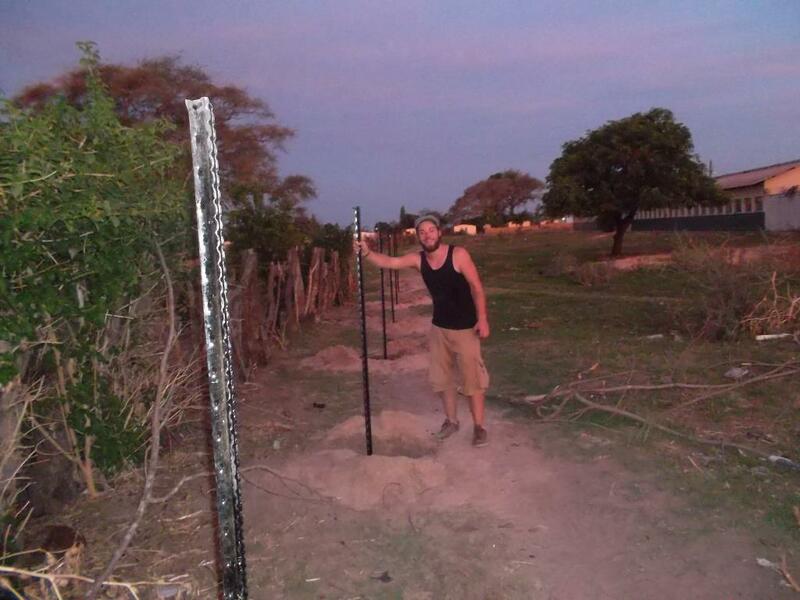 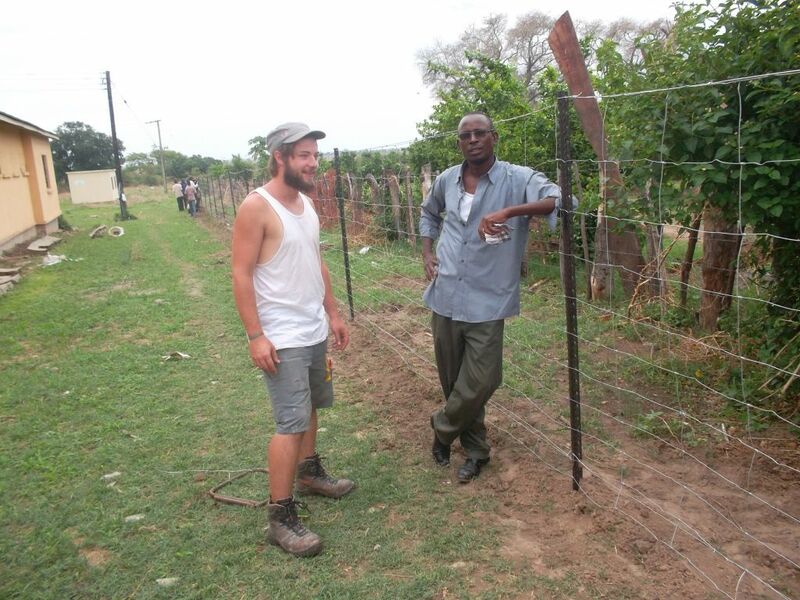 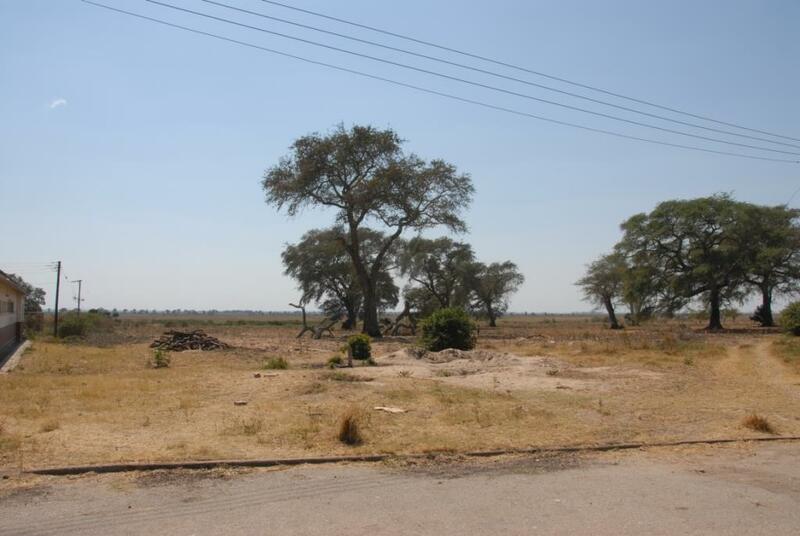 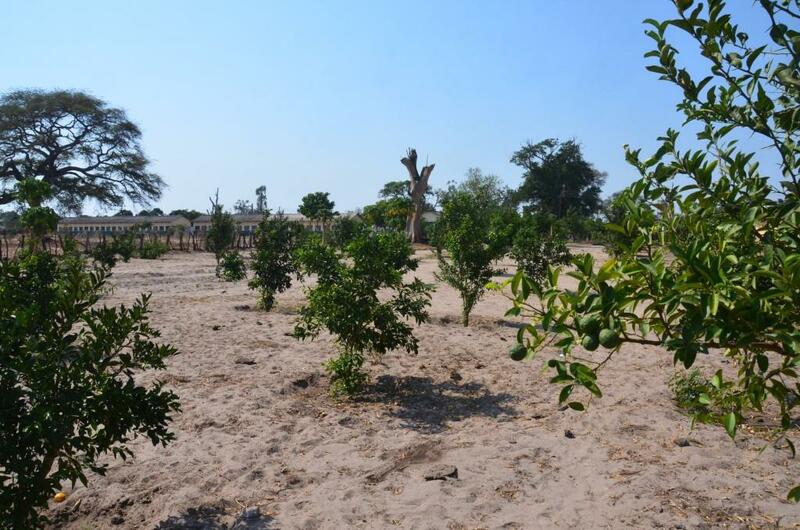 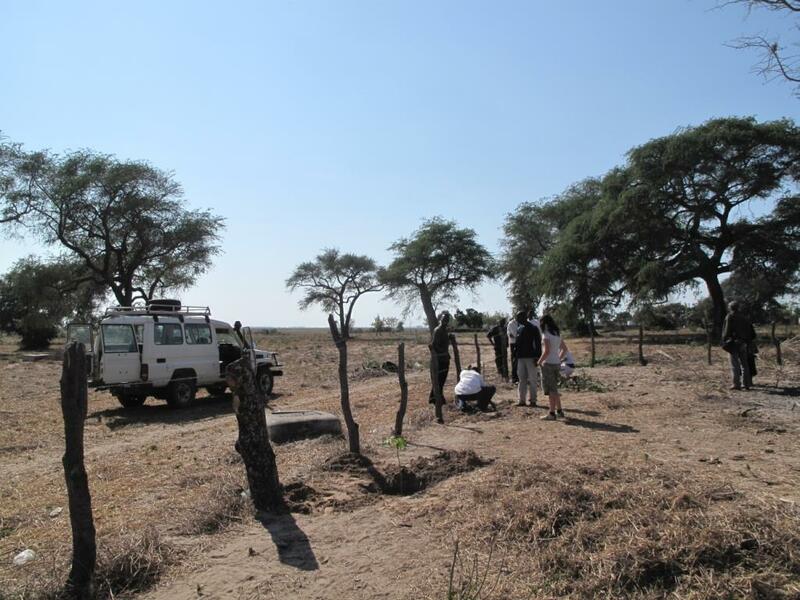 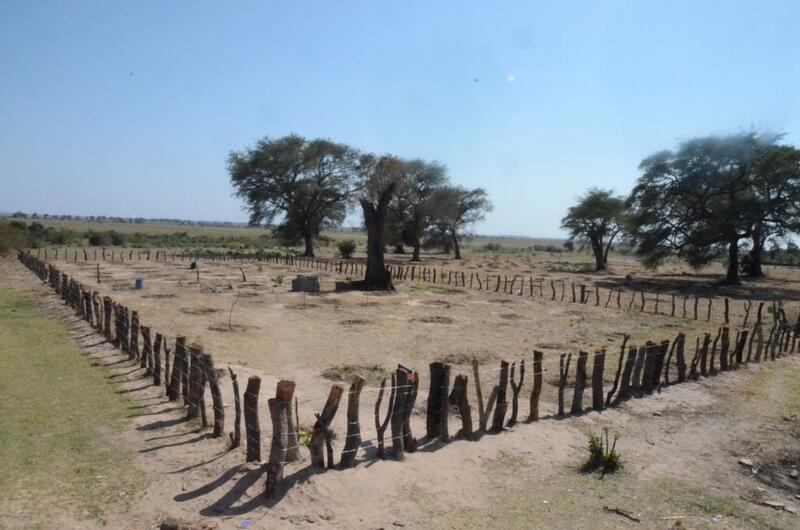 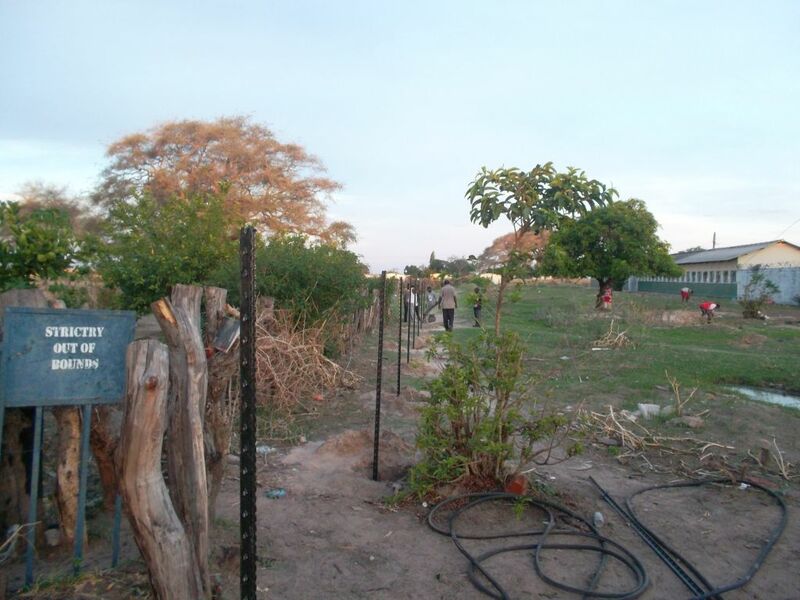 During the stay of Elias Klaey in Namwala last year the second fence was replaced by a firm metal fence, as termites had eaten a number of wooden poles and hungry cows and goats could enter the orchard again. 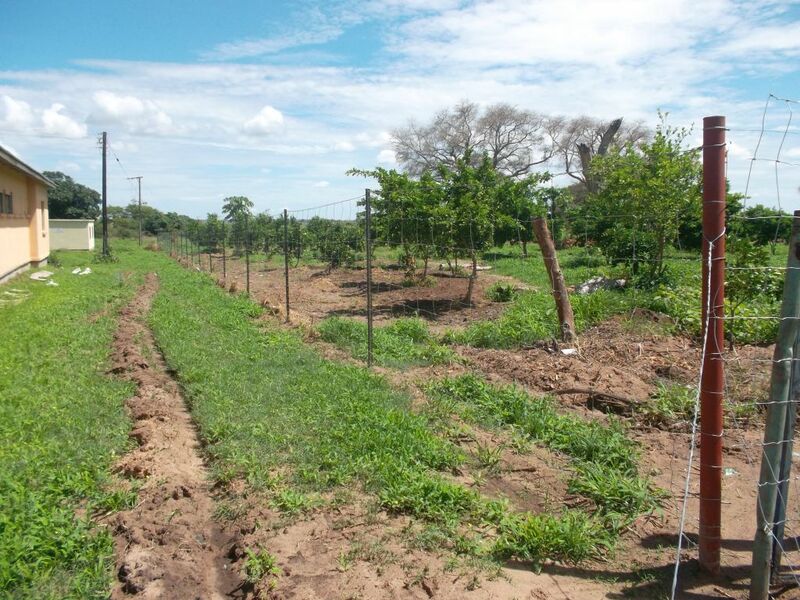 A second water reservoir will be built at the lower end of the orchard.